For the longest time, the speeder bike chase on Endor was my favorite part of Star Wars (later usurped by the Battle of Hoth, because I'd seen Jedi about a dozen times before I'd seen Empire). 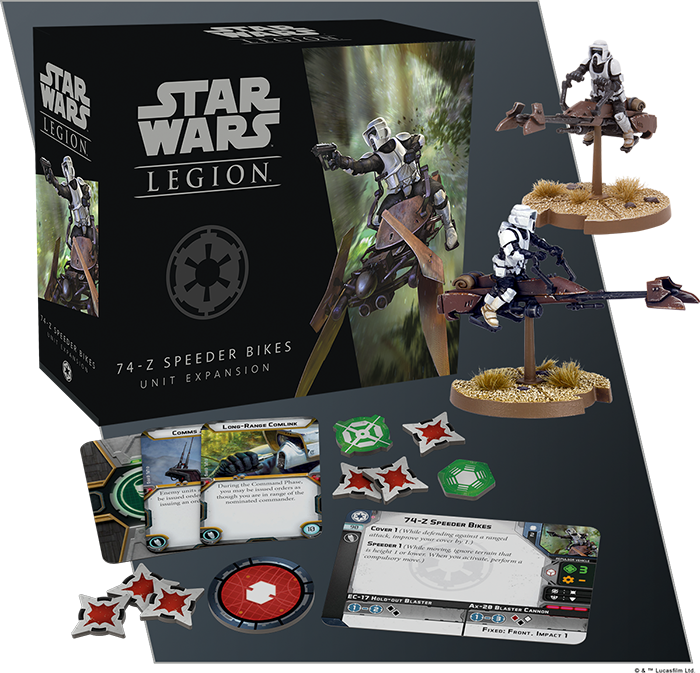 Soon, we'll be able to recreate that exciting battle on our tabletops with the 74-Z Speeder Bikes for Star Wars: Legion. Just watch out for trees.